What if property management was more transparent and technology-driven? We hustle for our clients. Providing a standalone service and raising the bar in customer experience. Onerent was founded on the concept of hustle. As fresh entrants into the property management industry, we've built an incredibly strong team that's handled over 7,000 showings, 5,000 maintenance requests, 10,000 renters, and 2,000 property owners. Our team is specialized into business units that carefully manage your property throughout each stage of the lifecycle. You'll have direct contact from leasing, to maintenance, and beyond to support your property throughout all stages. Our Broker has over 30 years of industry expertise and our team and technology have been awarded by various industry organizations displayed below. Onerent handles the entire leasing process and enables your property with on-demand showings and instant tenant screening to reduce lost rent. 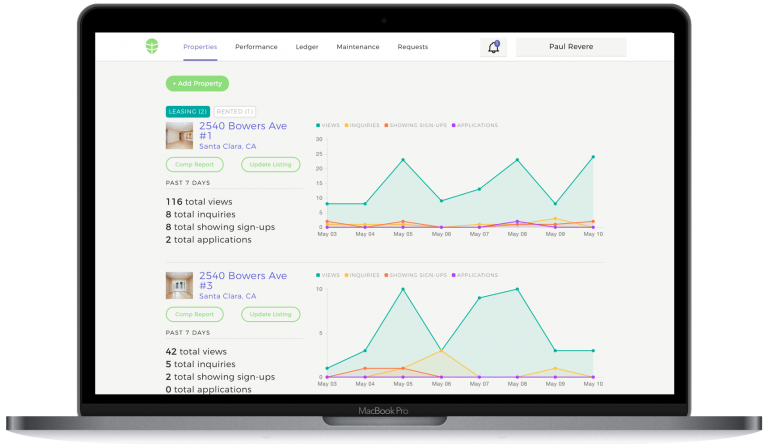 Get real-time insights into everything going on with your rental throughout leasing and ongoing property management. Onerent's technology and team drives down vacancy costs, maximizes rents, reduces maintenance costs and eliminates unnecessary fees. Copyright © 2017 Onerent, Inc.